Susan and Trevor Duncan are the proud owners of Jafa's Motels, and welcome you to our upmarket motel at Lawrence, the Gateway to Central Otago. Jafa's Motels offer superb recently built accommodation, which was designed to blend in with the heritage of the town. The modern, spacious units are well-appointed and tastefully decorated. The central location of the motels offers you a quiet, relaxing stay with only a minute stroll to the main street shops and cafes. Visitors are attracted by the town's charm and character. Situated on SH 8, it borders South and Central Otago, and is just over an hours drive from both Dunedin and Alexandra (96km) and 2.15 hours drive from Queenstown and other Central Otago ski fields (190km). 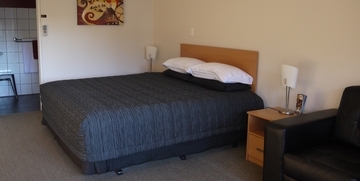 The Dunedin International Airport is only a 45min drive from Jafa's Motels. 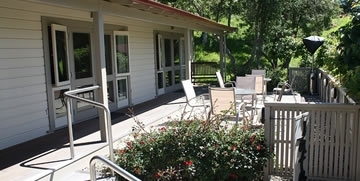 We are also in close proximity to the Catlins Coast, being just an hours drive to the gateway, Owaka township. Lawrence is the town built around the first gold strike when Gabriel Read discovered gold in May 1861 - in an area now known as 'Gabriels Gully'. However, this is not the town's only claim to fame - it is where the first bicycle in NZ was built and the music for the New Zealand National Anthem was written. We are also fortunate to be on the newly developed Clutha Gold Rail Trail which stretches from Lawrence to Roxburgh and then to Alexandra. This then links up to the main Central Otago Rail Trail giving you a highly desirable cycling experience. We look forward to your visit and will do all we can to ensure your stay with us is an enjoyable one. Jafa's Motels is Just Absolutely Fantastic Accommodation! We had a lovely stay! The unit was warm, comfortable and great value for money. Beautifully decorated and fitted out, we love the bathroom. We’ll be back. I get to stay in motels throughout NZ. There are not many that reach this standard and it has got to be the nicest place that I have stayed this trip. Keep up the great work! Fantastic stay – terrific hosts. Lawrence is a lovely place to relax, thank you.